Embossed vacuum seal bag. Bags for sous vide cooking. Embossed vacuum sealing rolls for vacuum packing. Model for sous vide cooking. These bags and rolls are designed to work with vacuum sealing machines with external suction. 100 embossed vacuum seal bags 100 microns 35x60 cm. 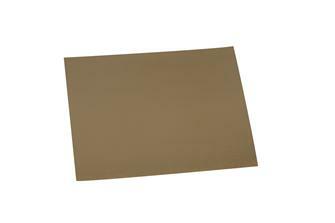 Gold and silver cardboard trays for 20x30 cm vacuum sealed bags. Sold by 50 units. 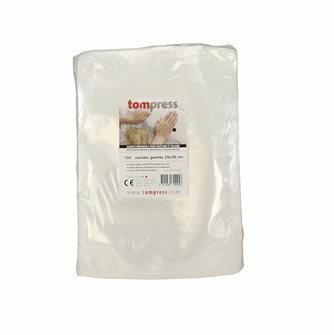 Set of 100 padded 100 micron, triple ply vacuum seal bags, 25 x 35 cm. Suitable for sous vide cooking. 100 embossed 100 micron vacuum sealing bags, triple thickness -15x25 cm. Suitable for sous-vide cooking. 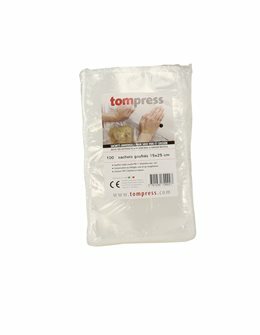 50 padded 100 micron, triple ply vacuum seal bags - 50x80 cm. Suitable for sous vide cooking. 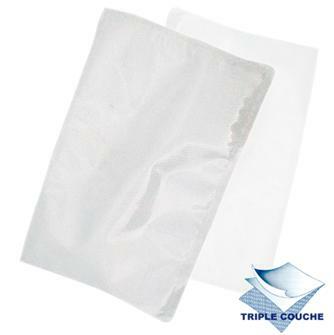 100 embossed 100 micron vacuum sealing bags, triple thickness - 30x40 cm. Suitable for sous-vide cooking. 100 embossed 100 micron vacuum sealing bags, triple thickness - 15x30 cm. Suitable for sous-vide cooking. 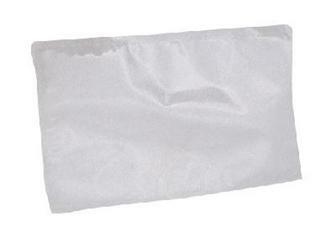 30 double thickness 100 micron padded bags measuring 12x55 cm. Suitable for sous vide cooking. 100 smooth bags, 20x30 cm 95 microns for chamber vacuum sealer. Packet of 2 rolls -20x600 cm, triple layer 100 microns for vacuum sealing and freezing. 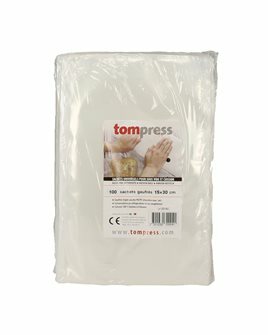 100 embossed vacuum seal bags 100 microns 30x80 cm. 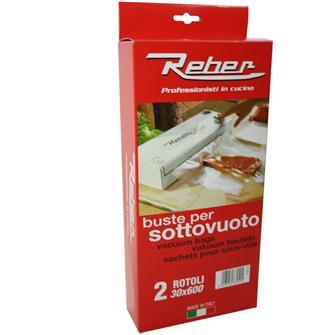 Automatic Reber vacuum sealing machine, sealing bar 32 cm, suction at 16 dm3/min. 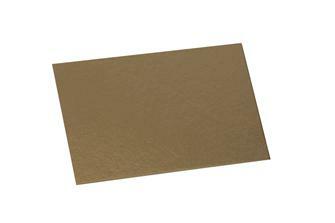 Gold and silver cardboard trays for 15x25 cm vacuum sealed bags. Sold by 50 units. 100 embossed 100 micron vacuum sealing bags, triple thickness - 12x20 cm. Suitable for sous-vide cooking. 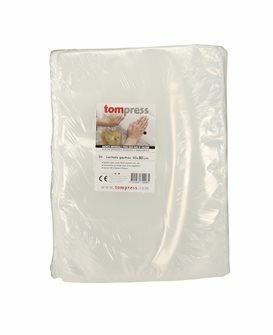 50 padded 100 micron, triple ply vacuum seal bags - 40 x 60 cm. Suitable for sous vide cooking. 100 embossed 100 micron vacuum sealing bags, triple thickness - 20x30 cm. Suitable for sous-vide cooking. Embossed bags and vacuum rolls for freezing and baking Tom Press 100 microns tripled thickness. 2 rolls 20x600 cm - 2 rolls 30x600 cm - 100 bags 15x25 cm - 100 bags 20x30 cm. 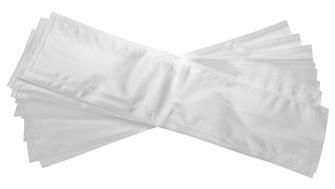 20 embossed 100 micron vacuum sealing bags, triple thickness - 22x65 cm. Suitable for sous-vide cooking. 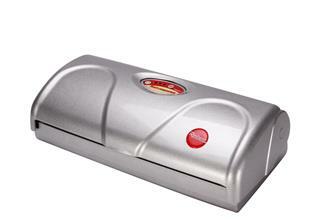 Automatic vacuum sealing machine with a 32 cm sealing bar and suction at 16 dm3/min. 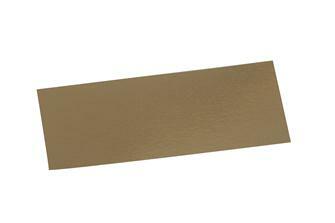 Gold and silver cardboard trays for 15x40 cm vacuum sealed bags. Sold by 50 units. 20 embossed 100 micron vacuum sealing bags, triple thickness - 30x80 cm. Suitable for sous-vide cooking. 100 embossed vacuum seal bags 100 microns 30x50 cm. 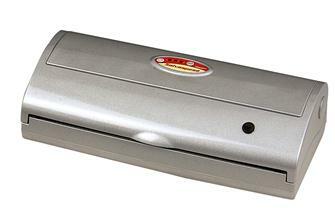 Semi automatic vacuum sealing machine, 32 cm sealing bar, suction at 16 dm3/min. Packet of 2 embossed rolls measuring 30x600 cm, 105 microns, triple layer. 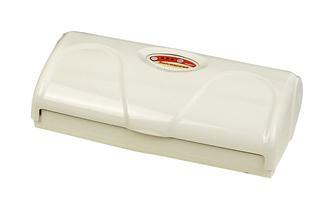 For vacuum preserving and sous vide cooking.